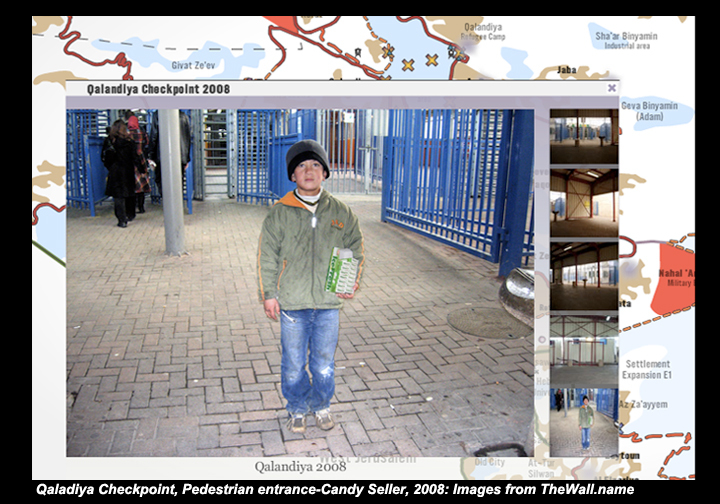 Shadows from another place is a series of “transposed maps” using Global Positioning System coordinates, maps, city sites and the web to translate and represent the impact of political or cultural traumas — such as wars or shifts in borders and territorial boundaries — that take place in one location, upon another. 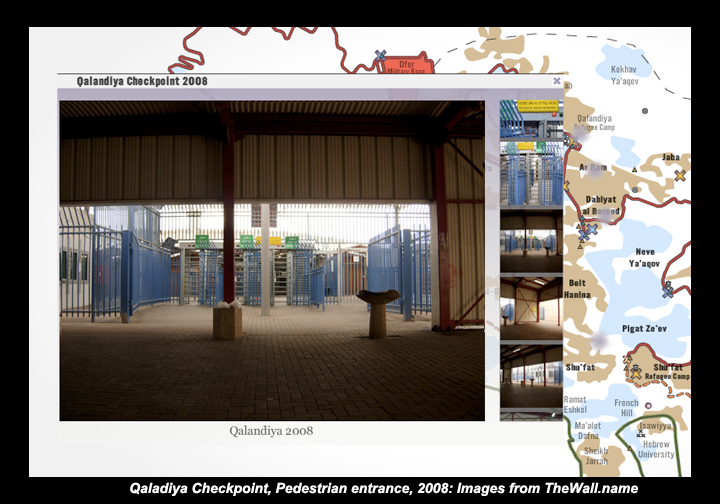 Collapsing distinctions between “foreign” or “domestic,” these hybrid spaces erase the safety of geographic distance and portray the impact of political, social and cultural change in local terms/on local ground. 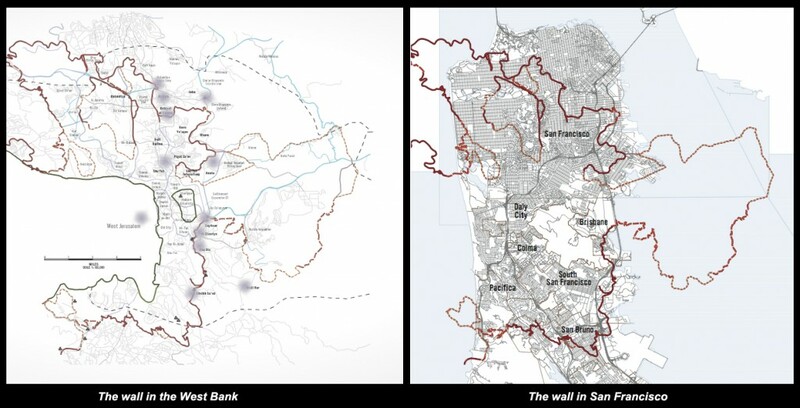 TheWall, the second in the series, maps a 15-mile segment of the barrier/security wall between Abu Dis, in the south, and Qalandiya, in the north, upon selected cities. The first site of overlay is San Francisco, California. 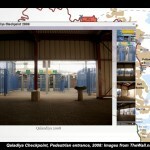 The website is the first phase of production and will link to all project additions. 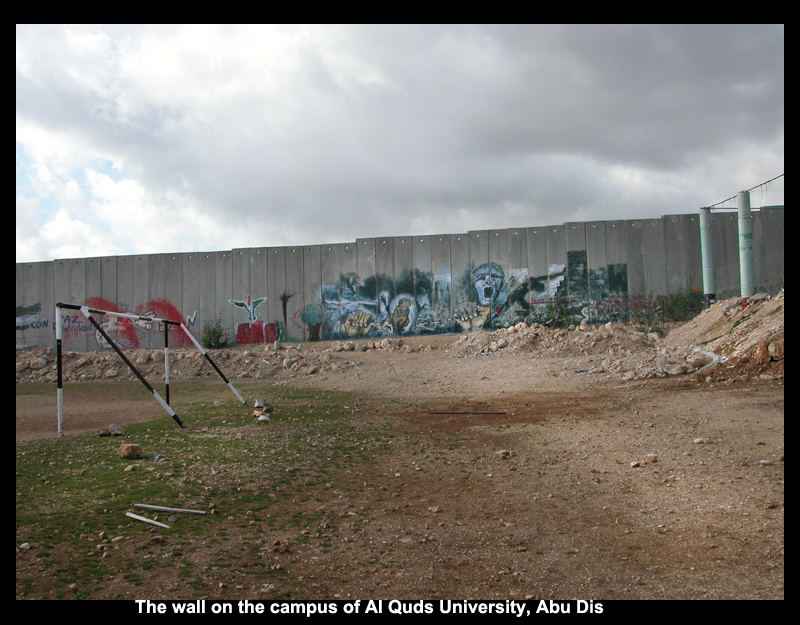 The site currently contains a detailed mapped trajectory of the wall, focusing on an area between Qalandiya, in the north, and Abu Dis, in the south. 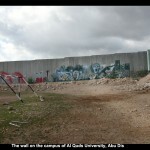 Using geo-referenced media, including video, sound and photographs, the website tracks the impact of the wall on lives and economies along its route through walks and travels between Abu Dis and Qalandiya, and talks with residents, business owners and families who live along the route of the wall. 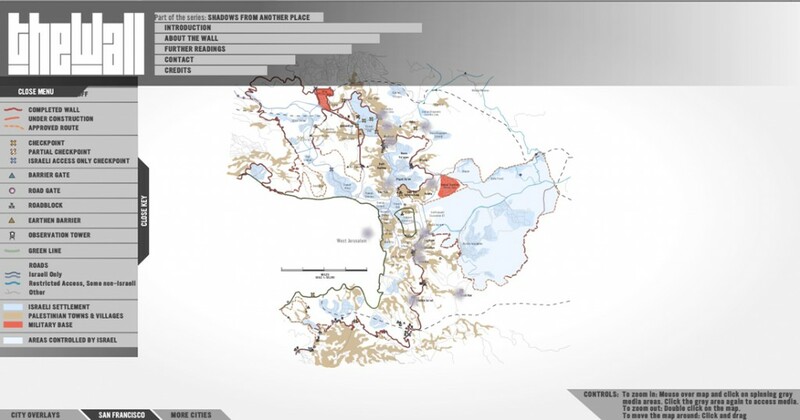 New cartographic tools, working iin conjunction with locative media, casts this distant event upon local and familiar ground to convey its impact in local terms. 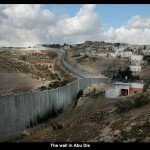 While obvious differences exist, such as political systems, histories, political circumstances, languages and cultures, those junctures where daily, everyday lives are lived and altered by the imposition of the wall are resonant and opportune points of intersections at which to reflect on the complex and nuanced links between one place and the other. 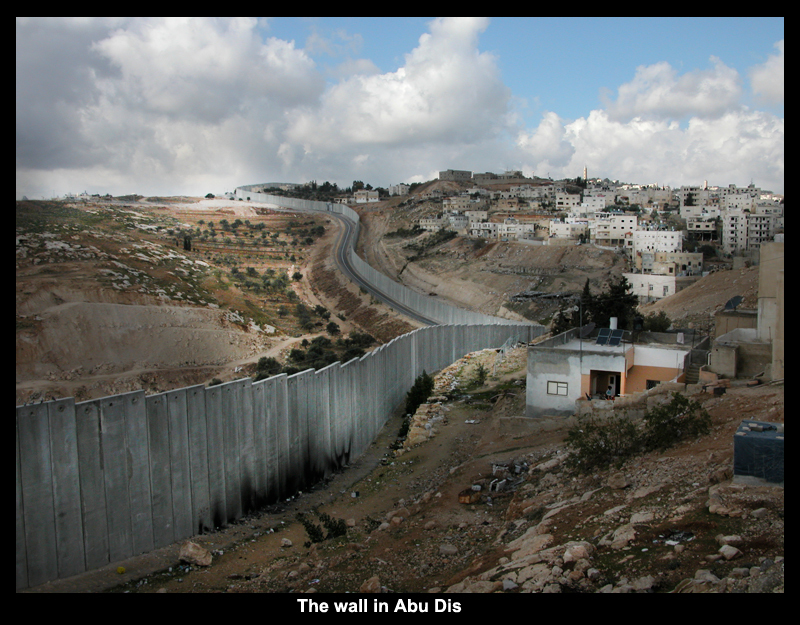 As the wall changes what was once integrated and connected communities in the West Bank, it’s capacity to alter cohesive and interconnected lived spaces, wherever it lays, is the rational and link between the wall’s site of origin and the ground on which its shadow falls. 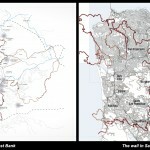 For a complete list of credits and thanks for this project, please visit TheWall.name website.